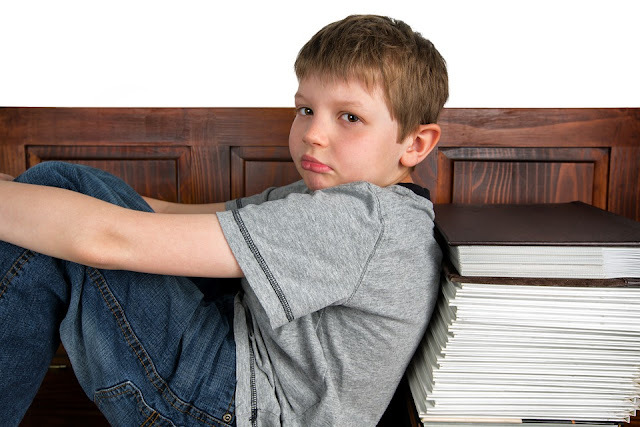 It is no secret that children are not fans of sitting down and completing their homework. However, whilst girls can often be convinced of it with very little pushback, the same cannot be said for boys. Boys are naturally active children and they would, for the most part, much rather be playing, running around and just generally getting into mischief. Whilst it is down to the parent to encourage their child to do their homework, it is their problem if it isn’t. This is particularly true for older children. You can remind them that they need to do their homework, however, it is then down to them to put their bum on the seat and actually get the work done. A great way to encourage your son to do his homework is to sit down with him and plan in some set times for homework. You can both think about when is going to work best, such as straight after school, before tea or perhaps at the weekend. You need to consider the other things that you both have to do and plan around this. That way, there can be no excuses when it comes to homework time. There is no harm you being around to help if they get stuck, however, you really should be encouraging your son to tackle his homework on his own. Not only will this allow him to learn, but will also show him that you have faith in what he can do. Of course, the main consequence for not doing his homework is that your son will find himself in trouble at school. However, that doesn’t mean that you can’t set some rules and boundaries at home too. The key here is to make sure that they know what will happen if they don’t do their homework. Such as not being able to play on their favorite game console or go and hang out with their friends. You will find that they soon get to the task. These are just some of the top tips on how to help encourage your son to do his homework, however, the important thing to remember is that you simply cannot make him do it. Whilst you can encourage him to settle down and work on it, it should never be forced, else you are likely to cause yourself, both short term and long term issues. Educational psychologists have shown that boys are more outcome-driven- when it comes to working. It may be worth pointing out what the overall goal is and what he may ‘get out of it’. You will need to sell this to him!